Costs – Learn more about the costs of tree maintenance and removal in Parker, Colorado. FAQs – While Parker is home to many tree varieties, there are certain types to be aware of, along with rules for planting and removing trees. Services – Hire a pro today and get your trees in order. How Much Do Tree Services Cost in Parker? Damaged, sick or dead trees aren’t just unsightly; they can be dangerous too. Tree branches that pose a hazard to sidewalks or roofs should be trimmed, and diseased trees often need to be removed entirely to prevent the spread of illness to other trees on the property. Removing trees, stumps or branches isn’t cheap, but the costs are generally reasonable. There are three chief services you might need when removing deadwood from a property: tree removal, stump removal or trimming and pruning. The height and girth of the tree along with the number of branches, the condition of the tree and where it is located all affect the total cost. The removal of young, small trees costs roughly $590. Older and larger trees can cost up to twice as much to remove. Tree removal is a big job and is not for the average homeowner. Consult with a professional to determine which services are needed to have them performed quickly and safely. In all cases, homeowners should expect to pay extra for emergency service. There are two ways to deal with an unsightly stump: grind it down or completely remove it from the ground. Grinding is the less expensive choice and usually costs between $75 and $150. Complete removal, on the other hand, is much more involved; it costs upwards of $500 to pull all the roots out from the ground. 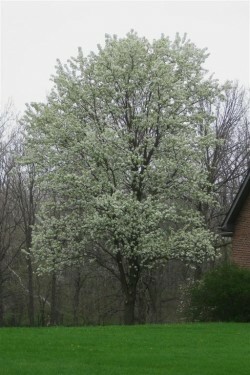 There are a variety of factors that contribute to the overall cost of trimming or pruning a tree. Smaller trees cost less than larger ones, for example. Keeping an Amur Maple in shape might only cost $200 or so, but trimming a 100-foot blue spruce might cost $740 or more. The city of Parker is heavily invested in environmental conservation and has strict, local laws governing tree removal and replanting. The city even employs a professional arborist to oversee all conservation operations. Reviewing the following regulations and guidelines can help local homeowners better manage their property’s value and aesthetic appearance in accordance with city law. According to the city charter, tree removal is prohibited on any slope with a grade of greater than 20 percent. Also, no one is allowed to remove or damage any healthy deciduous tree 6 inches in diameter or greater, any coniferous tree more than 8 feet tall or any shrubbery taller than 5 feet or covering more than 100 square feet. Sick, damaged or dead trees of any size may be removed with the approval of the Town Council or the Planning Commission, which is chaired by the town arborist responsible for tree conservation. The city of Parker helps cover the costs of tree planting as part of the tree conservation process in the area. Tree removal, however, is not an eligible expense, and all associated costs are the responsibility of the property owner. Even though the Planning Commission has earmarked $300 per eligible homeowner for the conservation project, it is best to contact the Council or the Commission for the latest information because the amount varies. Due to the encroaching infestation of mountain pine beetles in Parker, the city recommends the late spring or early summer for any necessary tree removal. Because of the beetles, coniferous trees are the most difficult to keep up within the city. There are 39 varieties of trees preferred by the city, of which the seven above are the most notable. Regarding fruit-bearing trees, there are two types that produce pears. Both chanticleer and ussurian are recommended by the city. Under no circumstances should anyone plant plains cottonwood trees (Populus spices), boxelder (Acer negundo) or Siberian elm (Ulmus pumila). 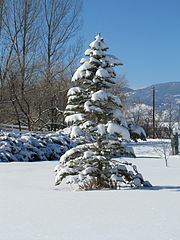 The Colorado blue spruce, which is the state tree, is the tallest tree appearing in Parker, and it sometimes tops 120 feet. The Amur maple is among the shortest as it is really just a large shrub. It rarely grows larger than 15 feet. In Parker, there are no specific guidelines for planting trees near power lines. Because the Planning Commission and the Town Arborist control all tree planting and conservation, homeowners looking to plant trees must submit a diagram showing overhead power lines in relationship to the house. 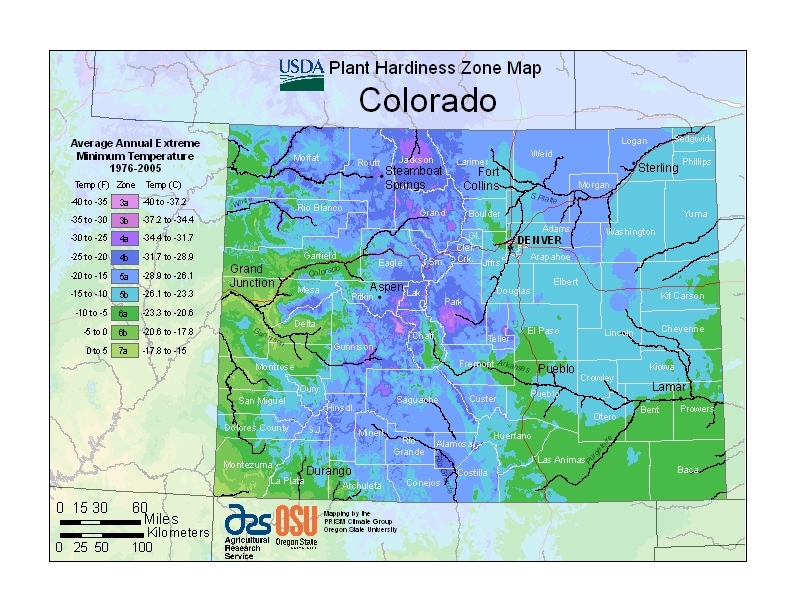 Additionally, homeowners must contact the Utility Notification Center of Colorado to schedule an official search for underground cables and gas or water lines, indicate the location of existing trees, provide information on the possible expansion of irrigation to service the newly planted trees and mark any slopes in excess of a 20-degree incline. The Council will then consider each application on its own merits.